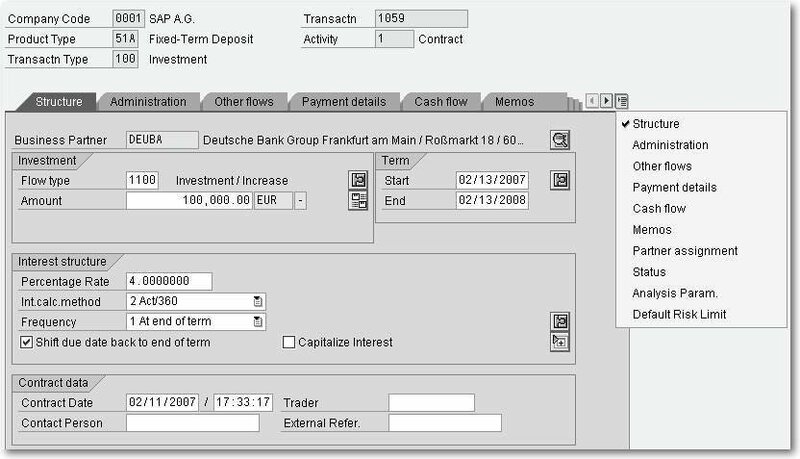 In this book chapter excerpt, you'll find out how to use the data entry screen to manage SAP transaction data, including hedging relationships and payments. You'll also learn how to work with the different types of SAP cash flow. SAP financial management covers a wide range of business transactions. 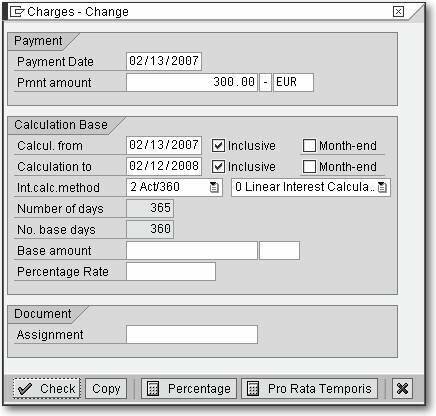 In this book chapter excerpt, you'll find out how to use the data entry screen to manage SAP transaction data, including hedging relationships and payments. You'll also learn how to work with the different types of SAP cash flow. This excerpt from SAP Treasure and Risk Management by Sönke Jarré, Reinhold Lövenich, Andreas Martin, and Klaus G. Müller is reprinted here with permission from SAP Press, copyright 2008. Download a PDF of this chapter. person, trader, and an external reference. hedge management, see Chapter 7, Hedge Management. transaction. For more information, see Section 3.5.3. The Administration tab provides data for managing financial transactions. use Authorization to define authorization groups so that only specific individuals are allowed to process this financial transaction. interest, or repayment. These could be fees or taxes, for instance. Customizing using the Other flow/condition flow category. detail screen by double-clicking and then storing calculation bases. For more information on other flows, see Section 3.1.4.
the same direction and currency but also with flow type “1900”. but the second, more specific payment detail is assigned. payments with the same payment details. transaction. It is displayed via an ALV. flows, and transfer posting flows. You can use variants to specify which features and key figures are visible for flows. Some variants are delivered in the standard SAP system. Double-clicking on a flow will take you to the flow detail screen, which displays further information. permit the functions, you will not be able to select them. cash flow. This is covered by the tabs Outgoing and Incoming. 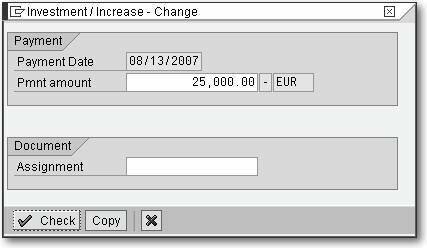 The Cash flow tab is not affected by this and is also displayed. the interest can also be applied variably to the interest rate instrument. the area below the ALV. Settings Transaction Management Define Memo Book. The memos represent a central function provided by SAP Basis. data on the corresponding partner for the financial transaction. transaction, as well as its status. The tabs for the financial object are only used for OTC transactions. created in the background for external positions. data of the financial object corresponding to the financial transaction. For further information, see Section 9.2.5.
displayed on the Cash flow tab. structure flows represent a description of the financial transaction. required, for other flows you need flow category Other flow/condition. Flow Types to Transaction Type. The main flows contain the amount-based structure of a transaction. amount-based structure of a financial transaction. Structure tab. The tab displays the first main flow (chronologically). Structure tab in the Investment section (see Figure 3.8). On the overview screen, you can select a flow type stored in Customizing. viewed using the Detail button in Figure 3.8. We will demonstrate this by continuing our example from above. on the main flow (see Figure 3.10). or repayment, such as fees or taxes. paid at the start of term of 08/13/2007 (see Figure 3.11). Derived flows also belong to the Other flow/condition flow category. to the product type on the SI: Derived Flows tab. on the Other flows tab. Instead, they can only be seen in the cash flow.